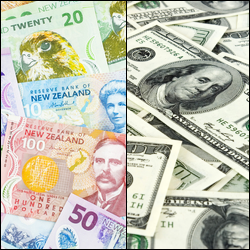 NZD/USD could accelerate the downside towards the 0.6900 handle in the next weeks, according to FX Strategists at UOB Group. “In line with expectation, the 0.6921 low seen of Monday was ‘safe’ as NZD rebounded rapidly and strongly from a low of 0.6931”. “The recovery appears to have scope to extend higher towards 0.6975/80. At this stage, a sustained move above this level is not expected. On the downside, support is at 0.6935 ahead of the still rather strong level of 0.6910”. “Despite the strong bounce from a low of 0.6921 yesterday, it is too early to call for a short-term low. As long as 0.6995 is intact, another leg lower to test the major 0.6900 support still seems likely. The next support at 0.6863 (low in December last year) is likely out of reach for now”.